4 Pines arrives to Surry Hills! 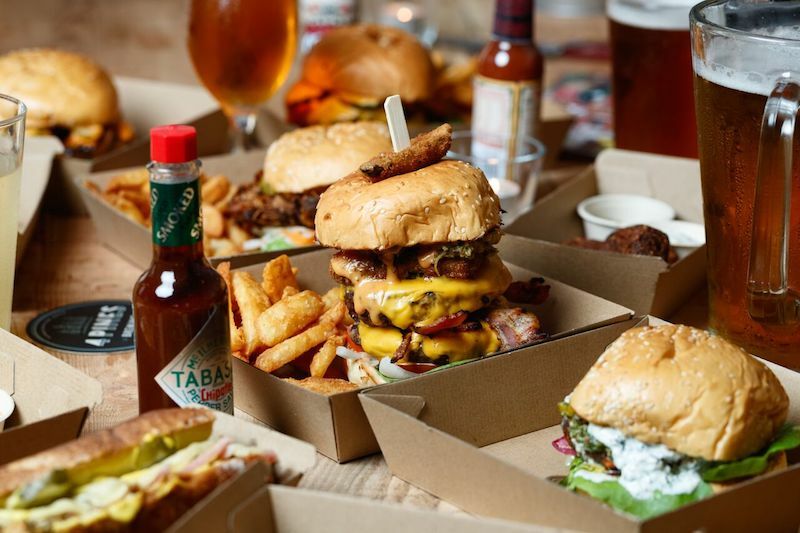 See what’s in store at this new beer and burger joint. 4 Pines has come a long way since opening its first microbrewery on the sunny Northern Beaches back in 2008. Since being bought out by alcohol bigwigs AB InBev back in September 2017, the once independent brewery has now expanded its reach, with the opening of a fourth venue. 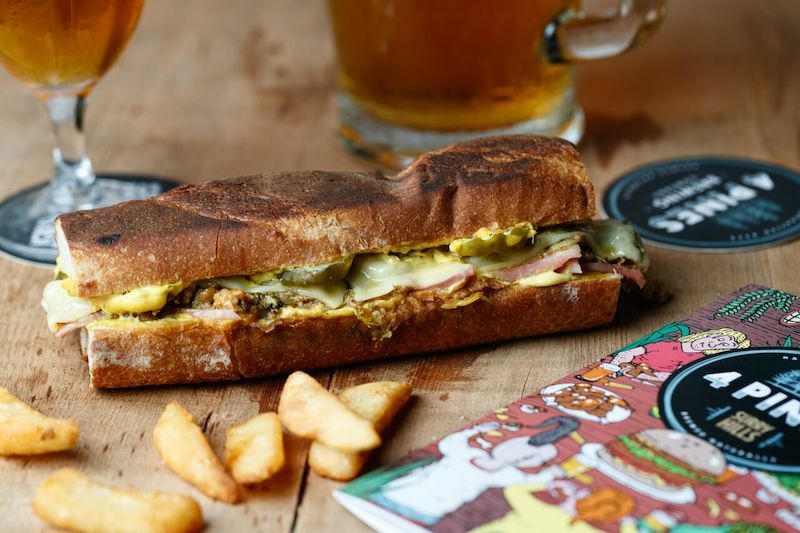 Introducing 4 Pines Surry Hills, a brand new beer and burger bar. Officially opening its doors on Thursday 20th December, you’ll find 4 Pines Surry Hills on Crown Street, taking over the old Mr Fox bar. 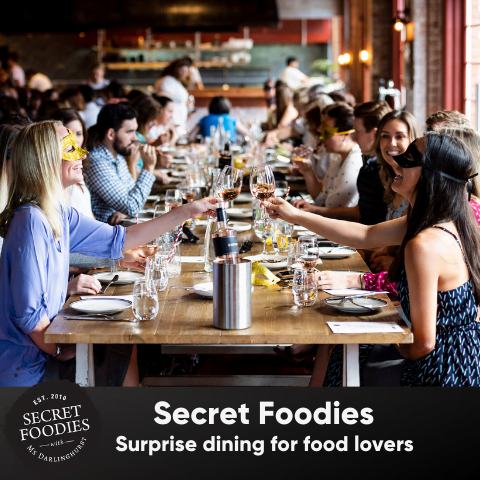 While Surry Hills is arguably spoilt for good bars, the new site offers vitality to a part of Crown Street otherwise populated by cheap eat hangouts and a local sports bar. Spilt over two floors with capacity sitting at about 60ppl, the venue’s aesthetic and ambiance will be an evolution of the existing 4 Pines venues – 4 Pines Manly, 4 Pines Truck Bar Brookvale and 4 Pines Public House in Newport as well as the 4 Pines ferry bars. Think recycled timber work plus a bespoke mural painted alongside the bar. As for the food menu, it speaks for itself. Patrons can expect a tight list of mouth-watering burgers, accompanied by snacks and sides. 4 Pines Executive Chef Ed Sargent has created six burgers in total, all of which are available with an optional side of chunks (chips). There’s The Cheese ($14) made with an Angus beef patty, burger cheese, tomato, onion, butterleaf lettuce, signature burger sauce and pickles, plus The Chook ($16), a creation incorporating Cornflake-crunch buttermilk fried chicken thigh, chilli and peanut butter, pickled cabbage, carrot and sriracha. For the herbivores, The Tree Hugger ($18) comes with a chickpea falafel patty, green chilli salsa, herb yoghurt, red onion, butterleaf lettuce and pickled chillies. 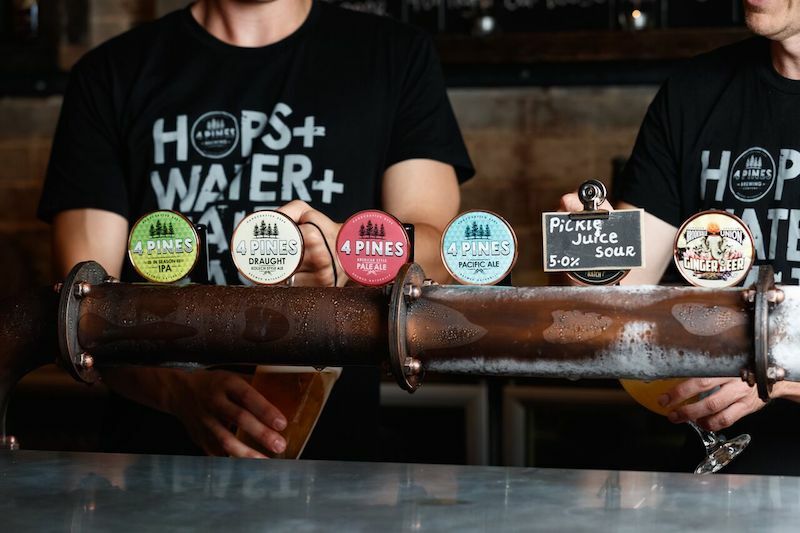 On the all important drinks front, lovers of the 4 Pines brews can expect a broad range of beers on tap, including 4 Pies Pale Ale, Kolsch, Pacific Ale, In Season IPA, a rotating small batch limited edition Keller Door – plus Brookvale Union Ginger Beer. There will also be another five 4 Pines beers available by the bottle – Amber Ale, ESB, Summer Ale, Stout and Hefeweizen. 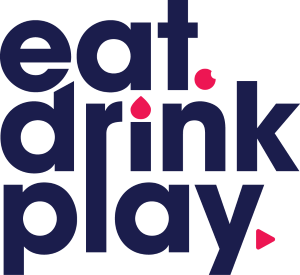 For the non-beer drinkers, a small selection of wine, cocktails and spirits will also be available. 4 Pines Surry Hills is open from Thursday 20th December.